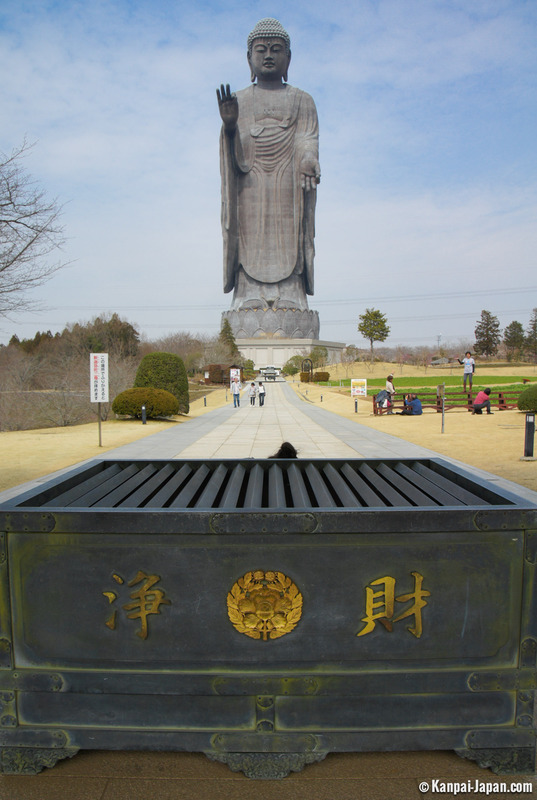 The recurring question of which Buddha in Japan is the largest of all remains open to debate although the names of the very famous and much worshipped Buddha statues of Kamakura and Nara are repeatedly brought up. 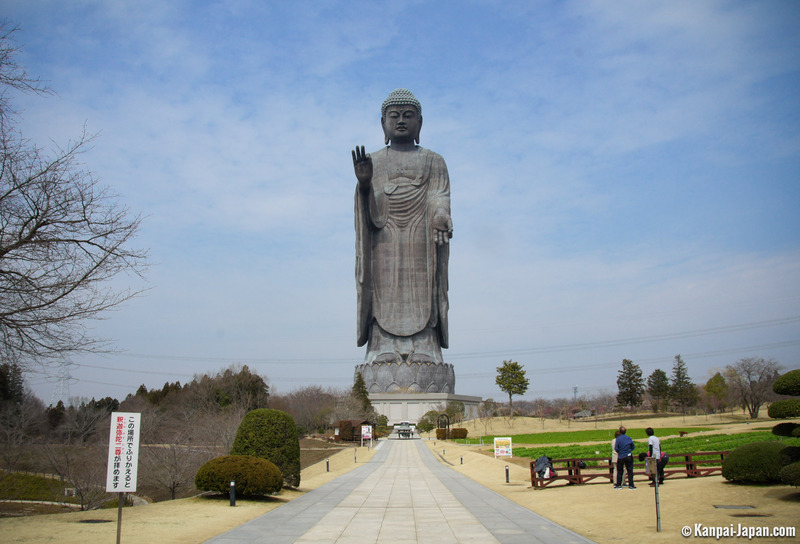 Neither of them, though, however impressively tall (13.35 meters and 18.18 meters respectively), measures up to the Buddha of Nokogiriyama with its 31.05 meters (not including its 30.3 meter high Kannon carved into the rock). 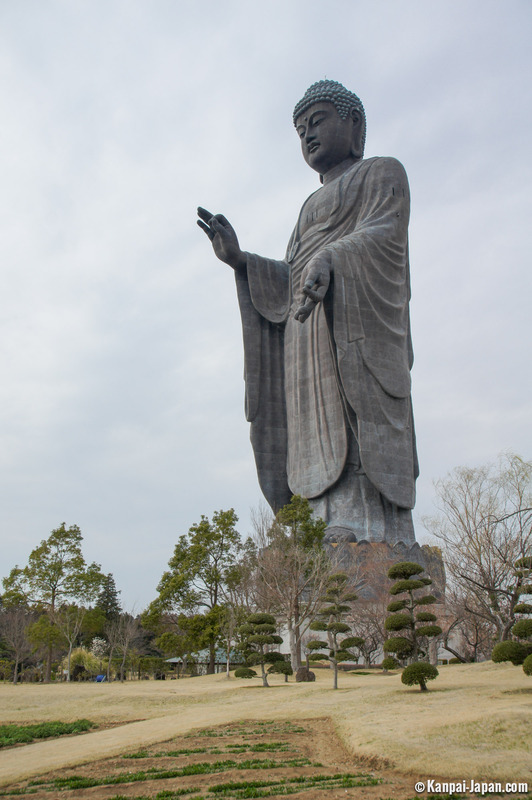 Yet Amitabha standing offers quite another dimension: in Ushiku, the deity reaches 120 meters in height including its 10-meter base and 10-meter lotus. 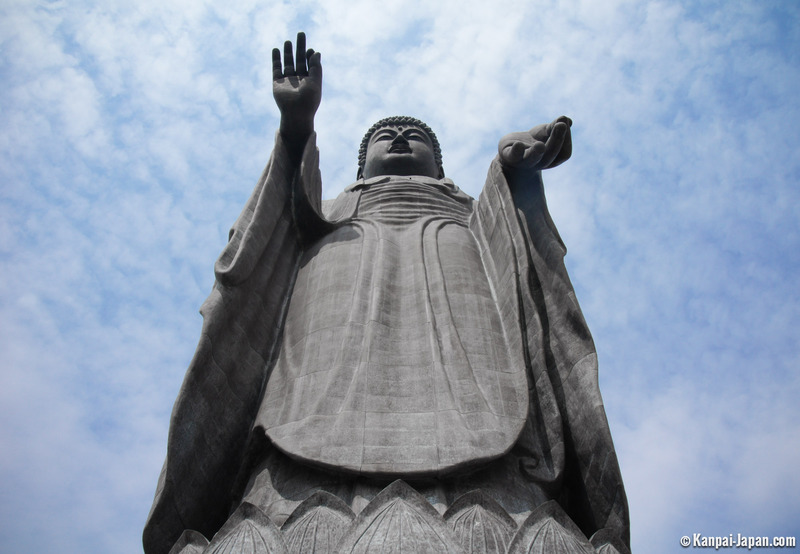 It is the third highest statue in the world and has been featured in the Guinness Book of Records since 1995 as the world’s highest Buddha statue. 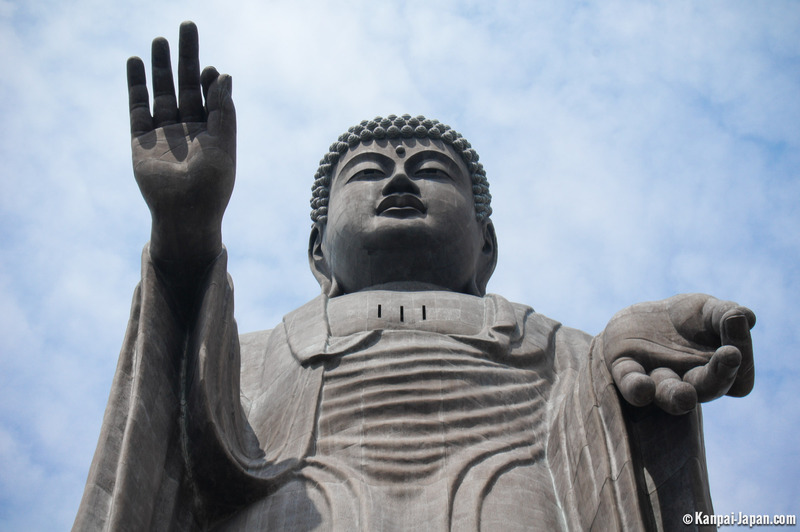 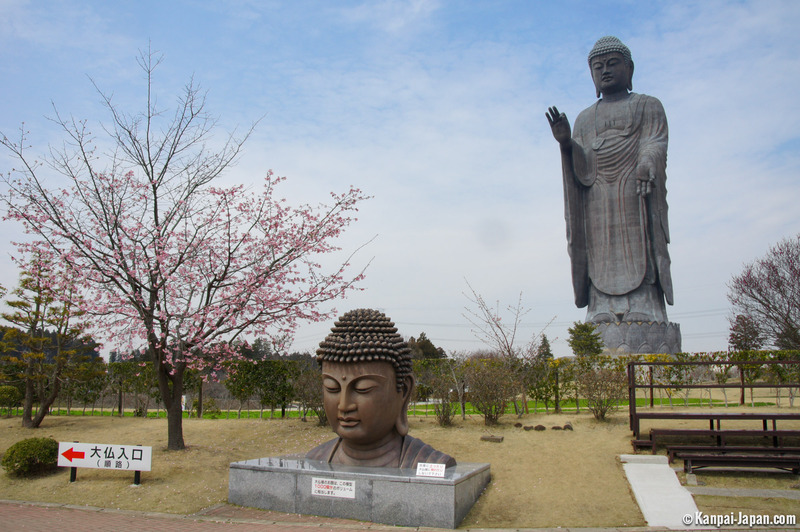 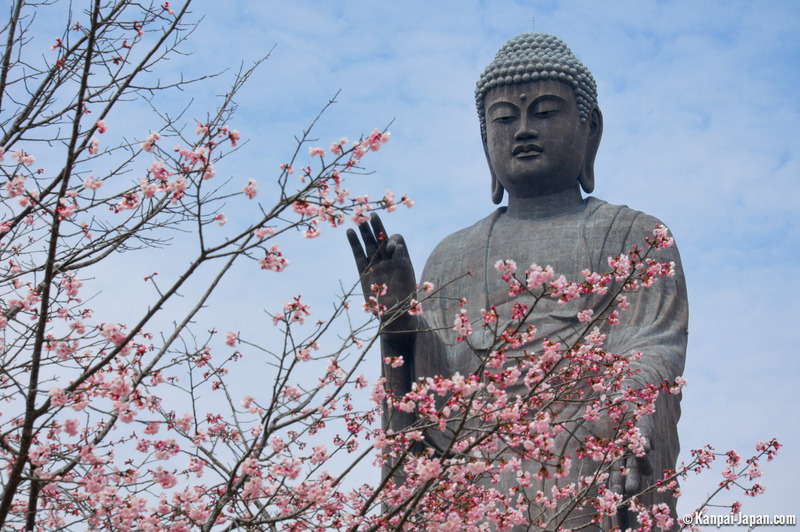 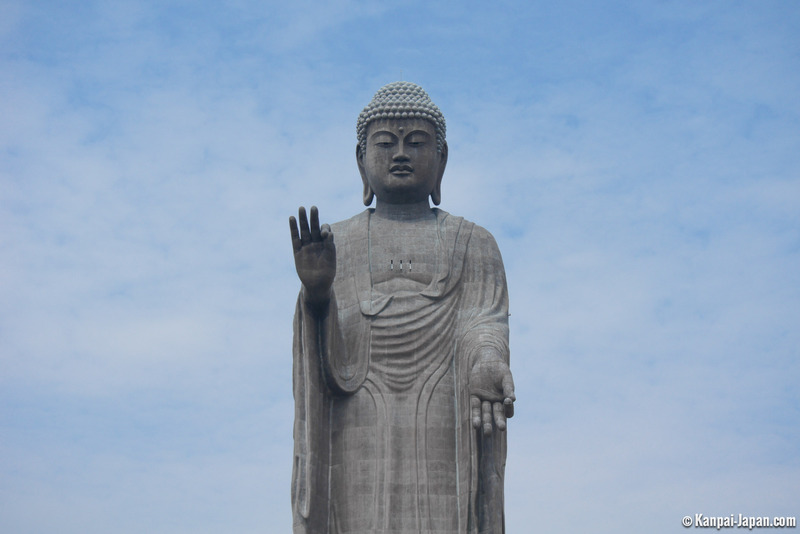 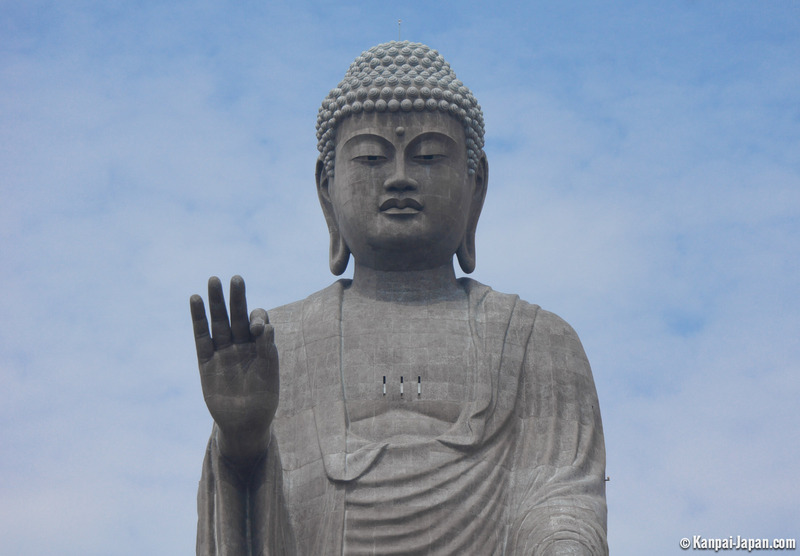 It is so extraordinarily large that the Buddha of Nara could nest in its right hand. 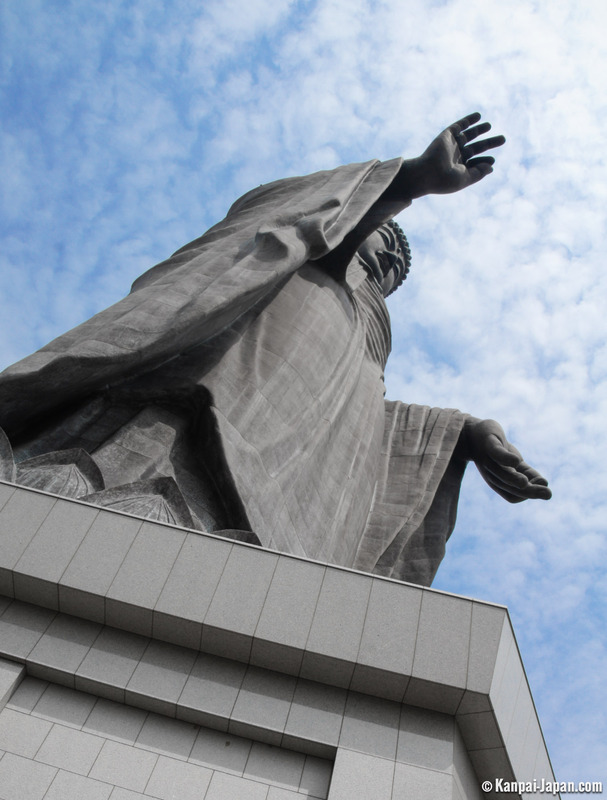 The statue’s total weight is more than 4,000 tons! 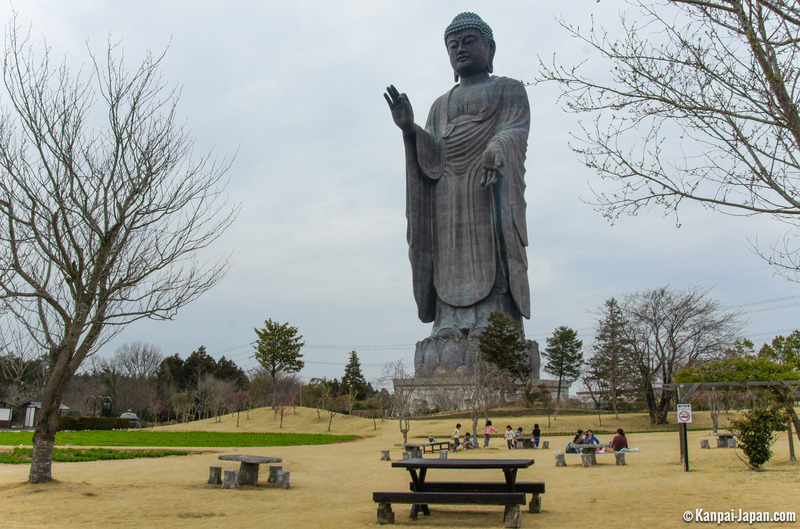 Ever since the statue was completed in 1993, the little town of Ibaraki, some fifty kilometers north-east of Tokyo, has welcomed a denser flow of (Japanese) tourists. 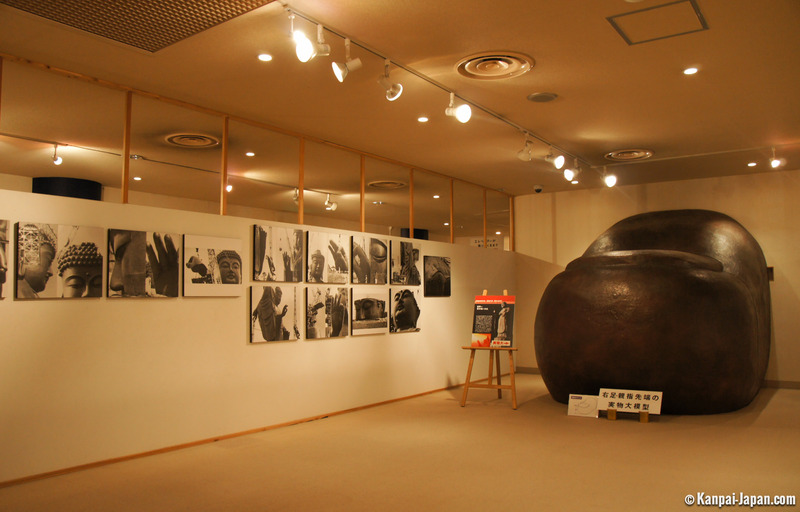 When they reach Ushuki’s train station, however, it may prove difficult for non-Japanese speaking visitors to catch one of the infrequent bus rides to the statue. 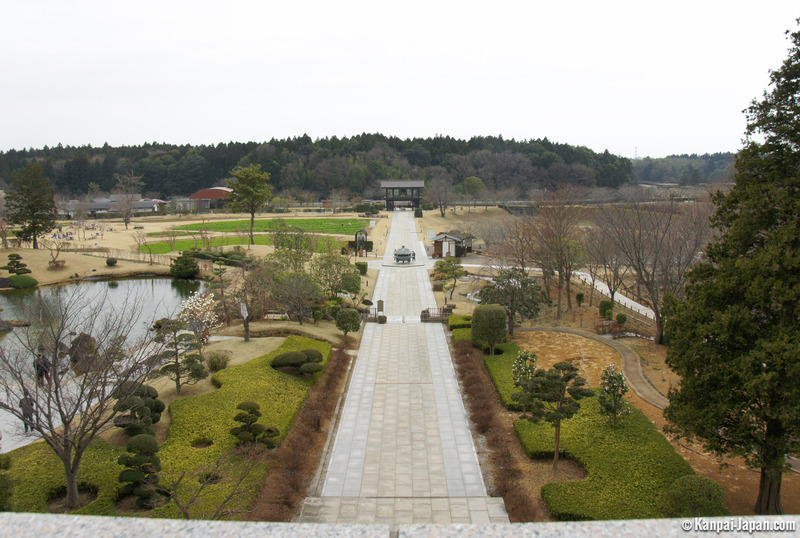 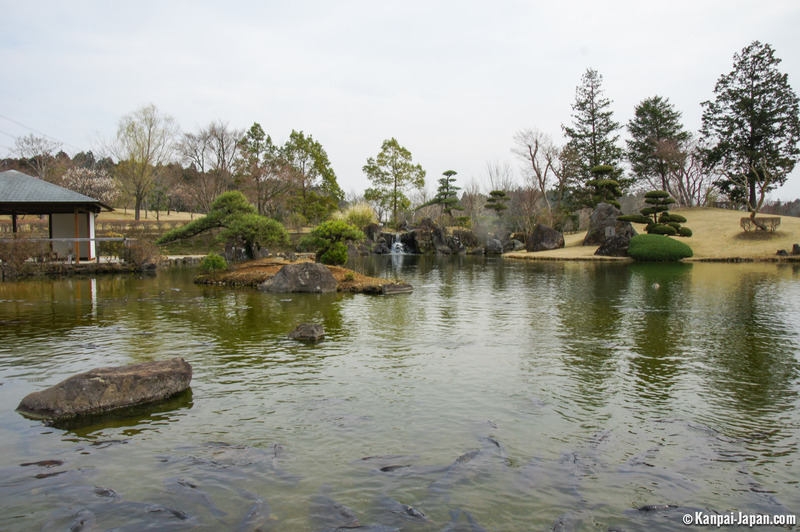 It stands in a pleasant sakura-planted park which hosts miscellaneous recreation facilities. 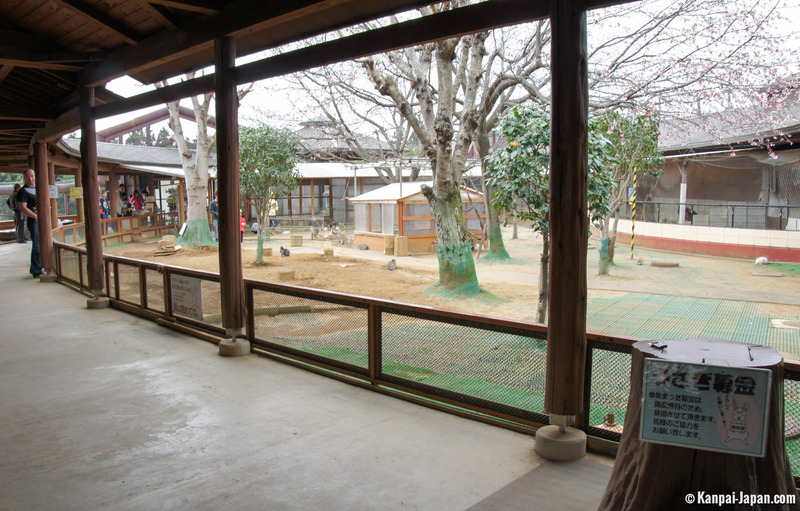 The small animal park in particular is of a rather cheap kind. 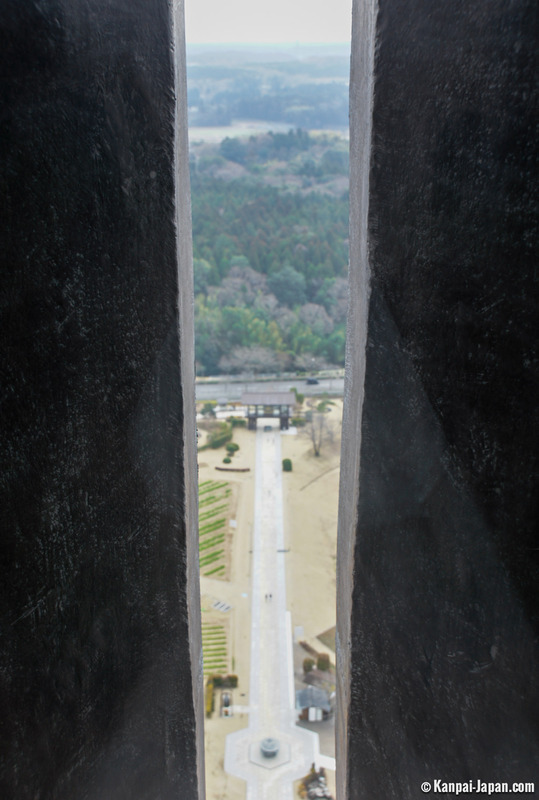 It is possible to climb up as high as Buddha’s bust 85 meters above ground to admire the view (even though bounded) on all sides and see Tokyo SkyTree or even Mount Fuji in clear weather. 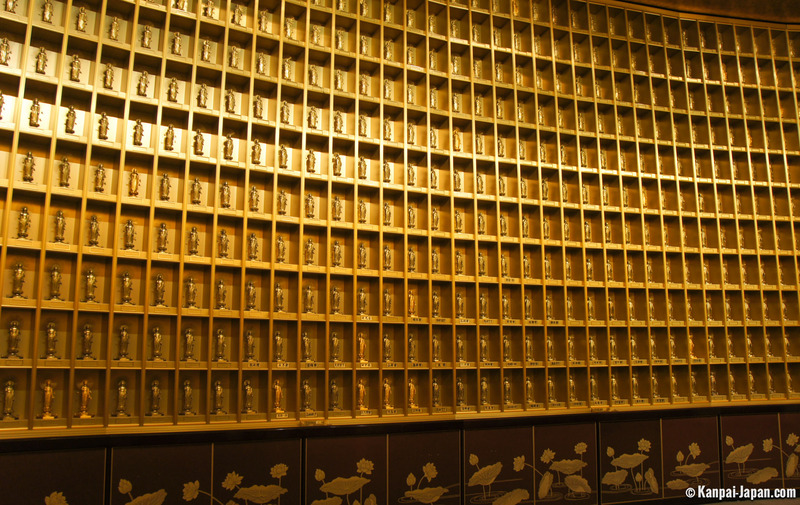 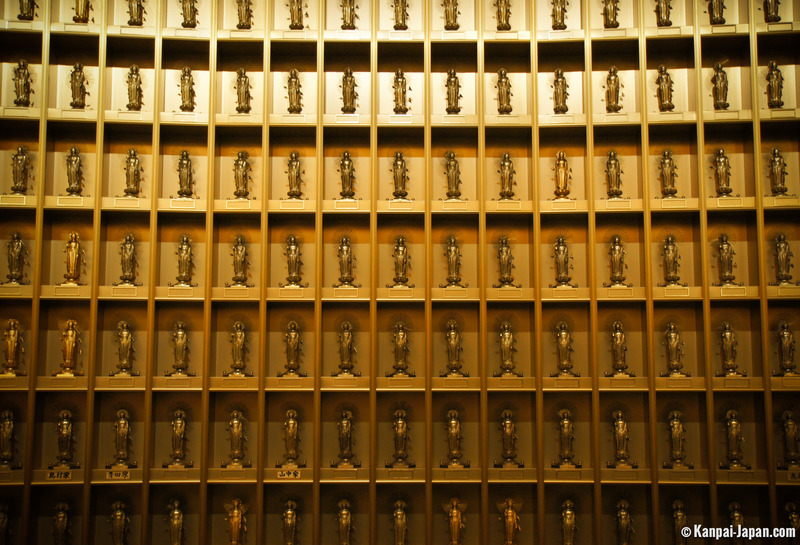 Inside the statue is a little historical museum, and one of the rooms hosts an impressive collection of 3,300 gilded Buddha statues. 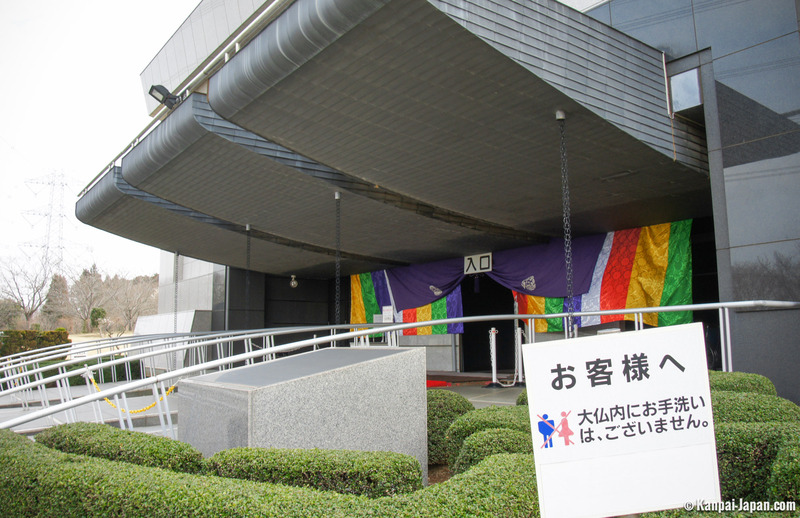 As a matter of fact, Ushiku Daibutsu appears in the Japanese movie Kamikaze Girls.